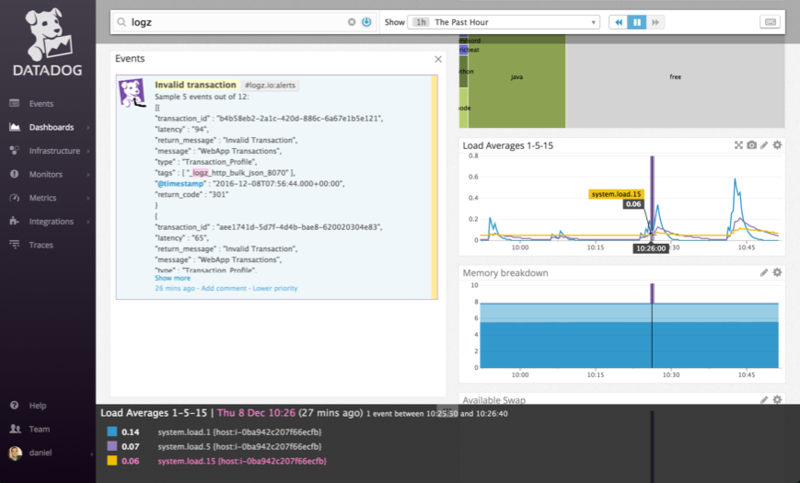 Use a Datadog API key to create a new alert endpoint in Logz.io. Create a new alert in Logz.io for a specific query. 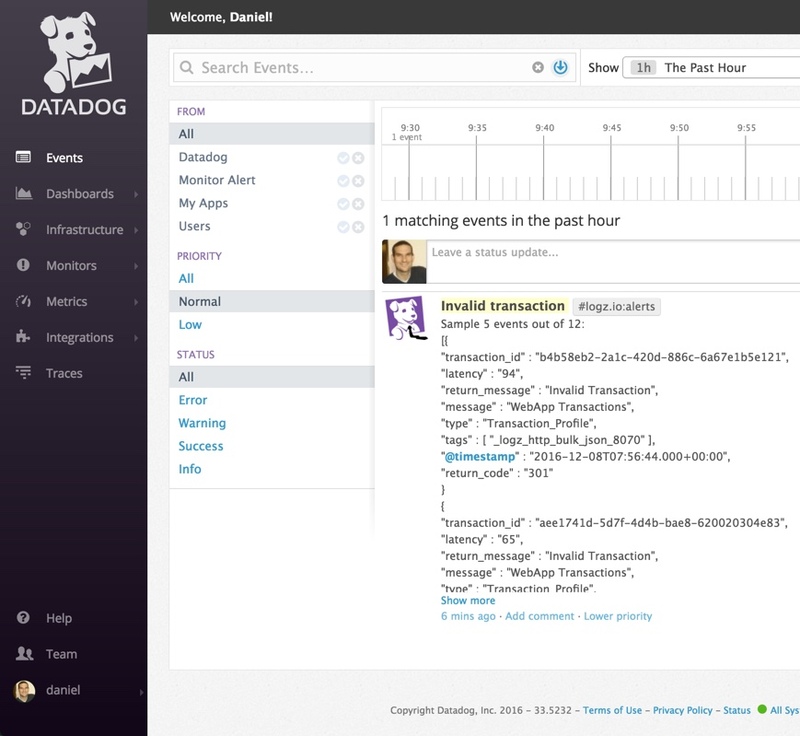 For a more detailed setup description, see the logz.io dedicated datadog documentation. The Logz.io check does not include any metrics. The Logz.io check does not include any events. The Logz.io check does not include any service checks.